Ocean Mist Farms’ history dates to 1924, when Daniel Pieri, James Bellone, and cousins Amerigo and Angelo Del Chiaros started the California Artichoke & Vegetable Growers Corporation in Castroville, Calif. Not long after, local vegetable farmer Alfred Tottino joined the partnership. Over the last 50 years, the company expanded from growing artichokes and Brussels sprouts to include broccoli, fava beans, English peas, cabbage, cardone and fennel sprouts. In 1972, Ed Boutonnet, chairman of the board of Ocean Mist Farms, and a native of the Salinas Valley, joined the company adding Sea Mist Farms and Boutonnet Farms, a local grower of mixed vegetables, to further diversify Ocean Mist Farms’ offerings. The Bengard Family joined Ocean Mist Farms in 1983 and is currently represented on the board of directors. Members of the original founding families, the Pieris and the Tottinos, continue to work in the daily operations of the company. In 1995 the company was renamed Ocean Mist Farms. 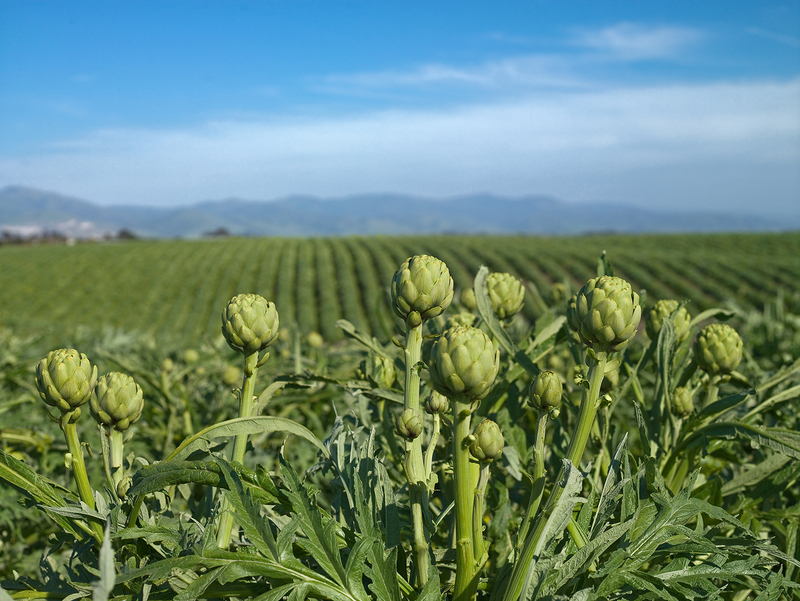 Today Ocean Mist Farms is the largest grower of fresh artichokes in the country as well as 30 other fresh vegetables. An organic line of fresh vegetables, Ocean Mist Organic, was introduced in 2015. In 2016, Joe Pezzini transitioned from COO to become CEO and president of Ocean Mist Farms, culminating a 33-year career with the company. Ocean Mist Farms employs 90 in sales and related administrative positions, 200 in its packing and state‐of‐the‐art shipping and cooling facilities and 1,200 at is affiliated ranches and harvesting operations. With satellite operations in the Coachella valley, Oxnard and Huron, Calif., Yuma, Az., and Baja Mexico, the closely held corporation leads the produce industry in field packing and cooling technology as well as innovative microwaveable packaging. Dedication to the land is at the root of Ocean Mist Farms’ environmental stewardship program. There is specific rationale for each of the sustainability efforts Ocean Mist Farms has pursued. In particular, water management has been a top priority. “There is regulatory pressure on farmers to control the quality of water that drains from their land,” said Malik. 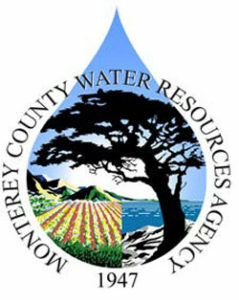 Since 1998, Ocean Mist Farms has used recycled water from Monterey County Water Resource Agency, an agency encompassing the Salinas Valley Reclamation Plant and the Castroville Seawater Intrusion Project (CSIP). Malik estimated 12,000 acre feet of water are generated per year by the Recycling Projects, of which 9,000 acre feet are used by Ocean Mist Farms. By tapping recycled water instead of well water, Ocean Mist Farms has helped decrease the pressure on seawater intrusion. 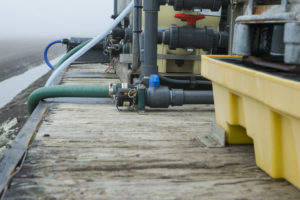 Minimizing seawater intrusion and having a reliable water source are important enough to Ocean Mist Farms that the company pays three times the price of well water for recycled water, Malik said. She estimates that recycled water accounts for 20 percent to 30 percent of the total water used by Ocean Mist Farms. Some of the pilot projects at Ocean Mist Farms focus on decreasing nitrate in water runoff. 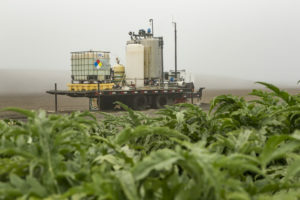 University of California Cooperative Extension scientists constructed denitrification bioreactors on Ocean Mist Farms land out of wood chips from the Monterey Regional Waste Management District. Their goal was to determine whether bioreactors could reduce the nitrate load in runoff water and improve water quality. The federal drinking water standard for nitrate is 10 parts per million (ppm). The scientists found bioreactors denitrified at a rate of 8 ppm to 11 ppm per day. 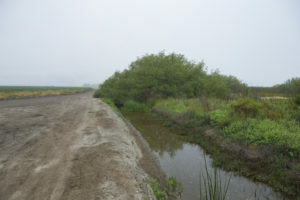 At the 2015 California conference of the American Society of Agronomy, a paper presented on the project said, “The high initial NO3-N concentrations observed, particularly in tile drain water (often > 100 ppm), would require extended treatment time, and therefore would require very large bioreactors to meet environmentally desirable NO3-N concentration.” The study concluded it would cost $1.50 to $2 per pound of nitrate reduced to operate the bioreactor. Malik said that the nitrate harvester, an ion exchange prototype under evaluation for the last two years at Ocean Mist Farms, obtains better results. She said that the harvester is coupled with a small levy built with vegetation to simulate a wetland and reduce course pollutants before water is pumped into the nitrate harvester. The harvester is a multi-tank system with resin beads filtering pollutants such as nitrate. 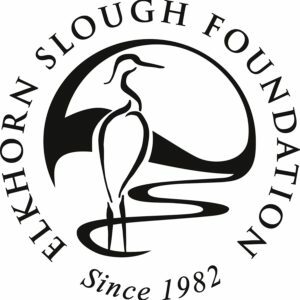 Another water quality project at Ocean Mist Farms is in partnership with the Elkhorn Slough Foundation(ESF), an organization that strives to protect tidal salt marsh in Monterey County. In 2003, Ocean Mist Farms sold a 183 acre parcel below market value to the ESF. To continue the restoration of this parcel, Ocean Mist Farms donated $10,000 to the Foundation in 2009. 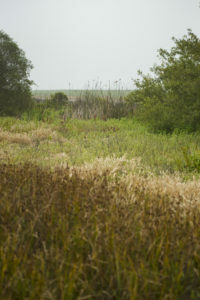 These restoration efforts have improved the quality of runoff water and created habitat for wetland species. Overall, Ocean Mist Farms has cut its water usage through precision irrigation (use of instrumentation to guide irrigation activities), drip irrigation, and use of recycled water whenever possible. In 2003, Malik said 30 percent of Ocean Mist Farms land had drip irrigation and now, almost 90 percent of the company’s operations are on drip irrigation. In addition to addressing water quality concerns, Ocean Mist Farms has made progress on improving energy efficiency by installing variable speed motors on its refrigerator fans, ammonia condensers, farm sump pumps and irrigation booster pumps, and installing LED lighting throughout its facilities. The company estimates those changes save 150 tons of carbon dioxide annually, which is equal to removing 29 passenger cars from the road. At Ocean Mist Farms, Malik said a committee evaluates whether a sustainability initiative should be implemented. Ultimately, it is up to the corporation’s board to proceed with an initiative. “You have to make the case for the project to senior management and, if they see value, then funding is provided and we move forward,” Malik said. Once the committee approves a project, an employee will be charged with overseeing the progress. Huss, for example, spearheads the nitrate harvester. The overseeing employee provides status reports to the rest of the team, Malik said. Malik said that modern day farming success depends upon a strong commitment to environmental stewardship.